CSGO crosshair is an built-in element of the game. You know it for sure. But are you sure you know everything about it? Maybe not quite. Chillout, we’ll explain it! We’ve divided this guide in four parts, combining theory with practice. Let’s start with the theory. Explaining the basics about CS:GO crosshair for beginners. CS:GO crosshair is an element of the game that shows the direction of the bullet’s flight. Thanks to it, we are able to predict where the bullets will go. If the crosshair is on the opponent, the first shot will most likely be accurate. The place where the next bullets will fly depends on the spray pattern (see examples). Why do we write that it will most likely be accurate? Is it the same as in other games? Not really. The working method can be considered the same but at CS:GO you can do much more! Similiar to other FPS games, csgo crosshair is located in the middle of the screen. Its appearance depends on the selected settings. These are only examples crosshairs from CS 1.6 and Call of Duty. You now ask yourself… what’s the best part? At CS:GO you can you can customize your crosshair in many more ways! Actually there are hundreds of possibilities how your crosshair will look like. You can easily change it. We have created a separate guide on how to edit the crosshair. If you are a beginner, you may need it. Which crosshair is the best in CS:GO? If you’re searching for the best CS:GO crosshair, you’re wasting time because perfect crosshair doesn’t exist. Okay, let’s keep it straight. Everything depends on personal preferences and experience. When we say that there is no such thing as “the best crosshair”, it doesn’t mean that you can’t do anything about it. There is a big difference between static and dynamic crosshair you should know about! Which one to choose. The advantages of a dynamic and static crosshair. As the name suggests, dynamic crosshair changes and moves when you run or shoot. Static crosshair is the opposite. It doesn’t change. Dynamic crosshairs will be the best choice for players starting at CS:GO. Static crosshair may turn out to be better for more experienced people (who already understand the basics of the game). Remember that even if static option could be better, in the end it all depends on you! Noone has a crystal ball here. Just saying! ? 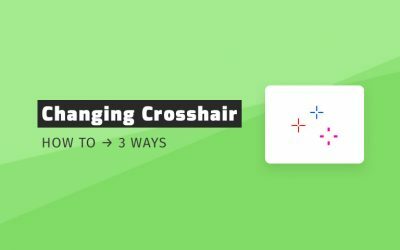 3 important crosshair tips. Things that we’d like to hear at the very beginning. When you start playing more and more, over time your brain will get used to your crosshair. Although it sounds positive, it actually affects the game’s performance negatively. The result is less focus on the crosshair – main point of the CS:GO. Therefore, we recommend changing the crosshair once in a while, and in particular when you get incosicent! Thanks to this, in some way you’ll cheat your brain and give it extra stimulus. You’re right! You’ll be able to focus even more on your game. We recommend changing the color and minimizing or increasing the crosshair size for a few days during the period of inconsistency. Then after a few days, return to the previous main crosshair. It's very possible that you'll play better and return to good results. Looking at the settings of professional players, you can see one similarly. Most pros use a static or semi-static cs:go crosshair! Dynamic crosshairs are cool for beginners. They’re not developed good enough to be able to give extra benefits for the experienced players. Therefore, if you know what you’re doing, you should choose and get used to the static style, which worked perfectly well, even in previous versions of Counter-Strike. 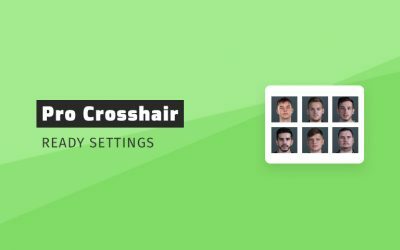 We recommend using static crosshair styles. With dynamic crosshair, you lose valuable fractions of a second to return it to static version. It means, you can’t shoot a precise shot fast enough. When you’re looking for a new crosshair settings and you can’t decide on which too choose, be sure to not judge it only visually! Don’t just enter the offline server without bots to see which crosshair you like the most. It’s better to choose a few crosshairs settings and devote some matches (or days) to find your ideal crosshair. It’s also a good idea to check the crosshairs on the CSGO training maps afterwards. 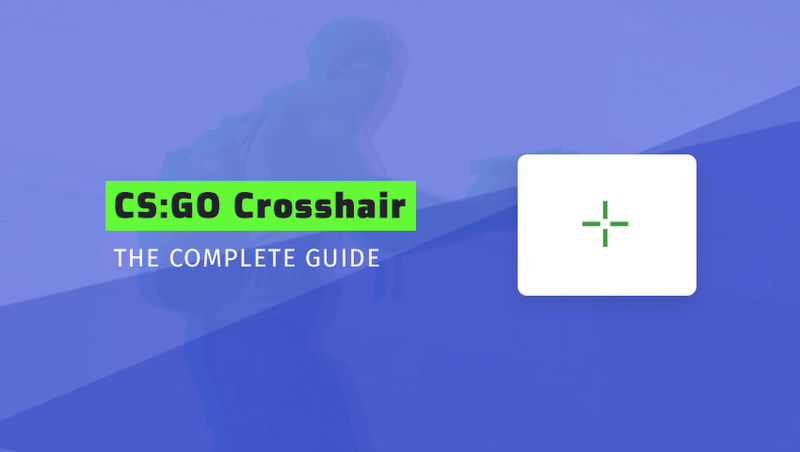 If it turns out that you shoot better with one particular crosshair, you may have found the perfect one! We recommend testing new crosshairs in real game. The best way to do it is to play a few matches against real players. The point is to check it in action before making a decision. Other nice articles. To help you customize and choose your crosshair. The crosshair commands in CS:GO allow you to change its appearance and style. Using commands, you can adjust size, thickness, color and many more. 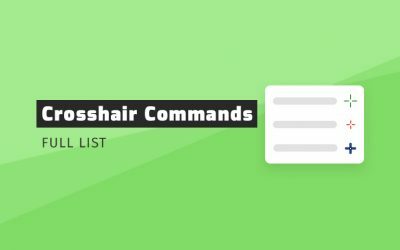 To make your task easier, we have created a list of crosshair commands with an additional explanation. Pro settings are the crosshair settings used by professional players. We collected them in one place so that you could test different combinations in a simple way. All you have to do is copy the pro settings and paste them into the console. That's it for our CSGO crosshair guide. Good information regarding csgo crosshair. Thanks for share.